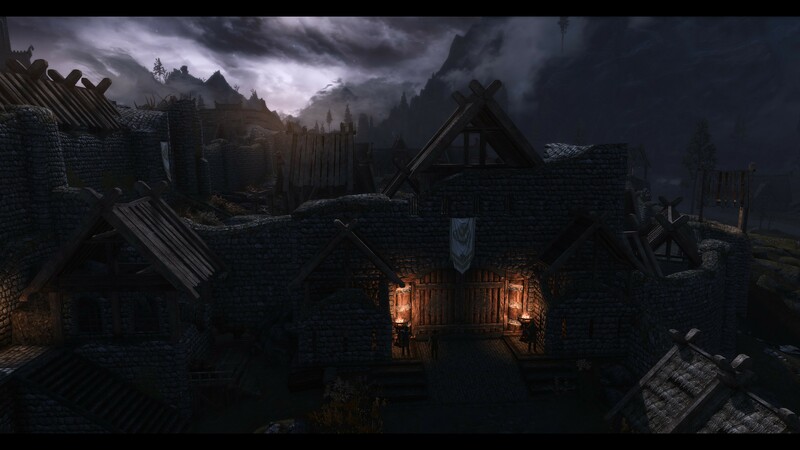 Many have requested it, so here it is – a new gate for Whiterun. I created a new mesh from scratch in Blender while closely following the Vanilla style and adding a little more detail. 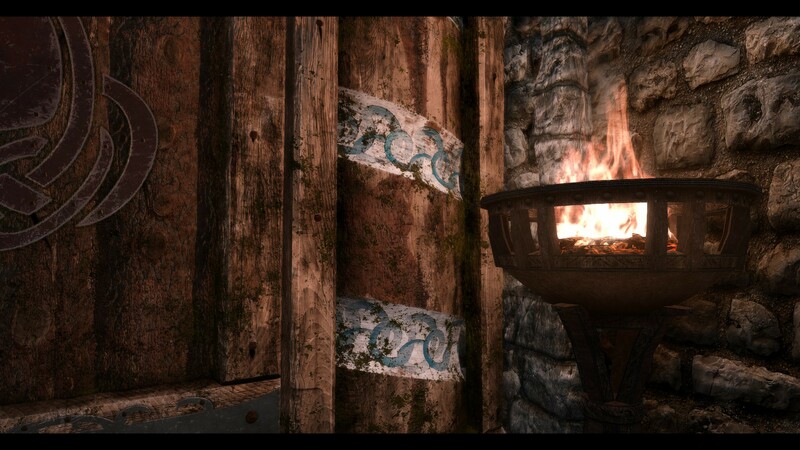 I wanted to create something really rough and strong for Whiterun so I went for big logs supported by metal. 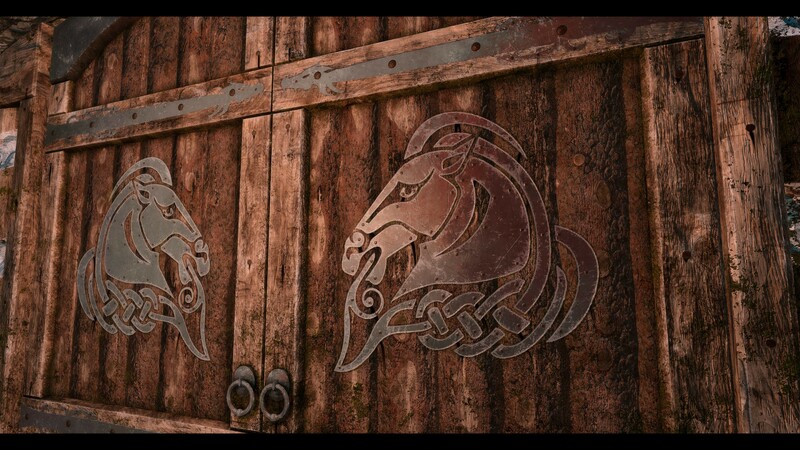 For this gate I had to use all the knowledge I gained in the last months and even learn new techniques to bake the insanely detailed dragon hinges. [/font]I highly recommend MO2 as mod manager.